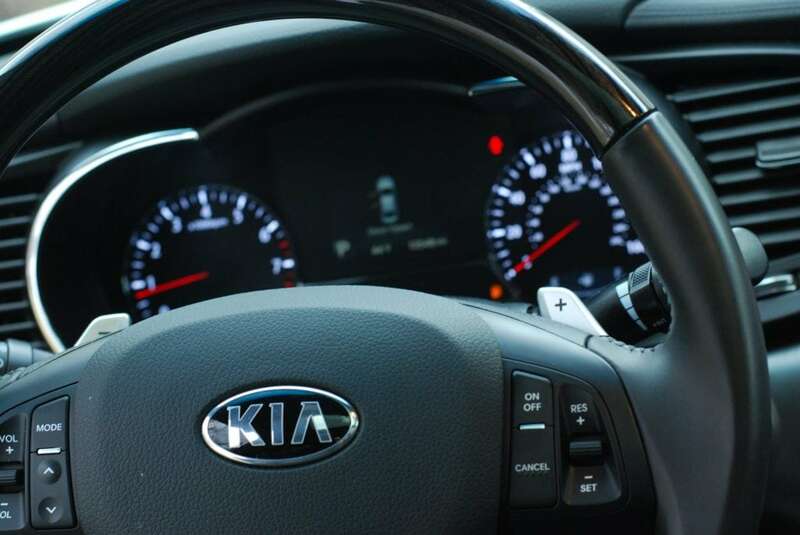 The post is sponsored by Kia who provided a car for my family to drive for a week…. unfortunately I had to return the car. If you follow me on Instagram, you might have noticed the sporty, awesome car I was driving a few weeks ago. 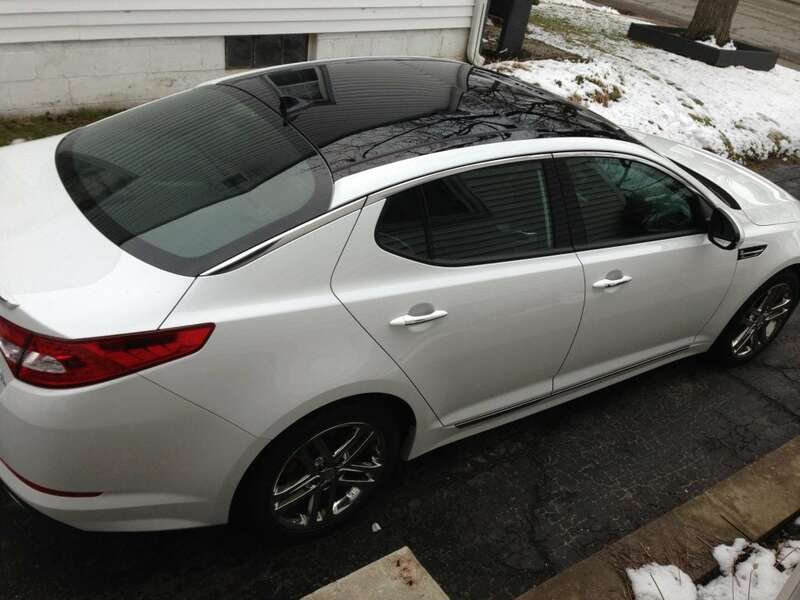 My family had the opportunity to test drive the 2013 Kia Optima SX for a week and we absolutely loved it. My son, Jonah, wanted to ride in the “race car” every time we went somewhere. He was probably the saddest one in the family when we had to return it. He is still asking when we can go and get the “race car” again and keep it. I have never claimed to know a lot about cars. My review here is strictly from the point of view of a working mom and the things that are important in a vehicle for my family. So onto the most important part of a vehicle (in my opinion) the features. 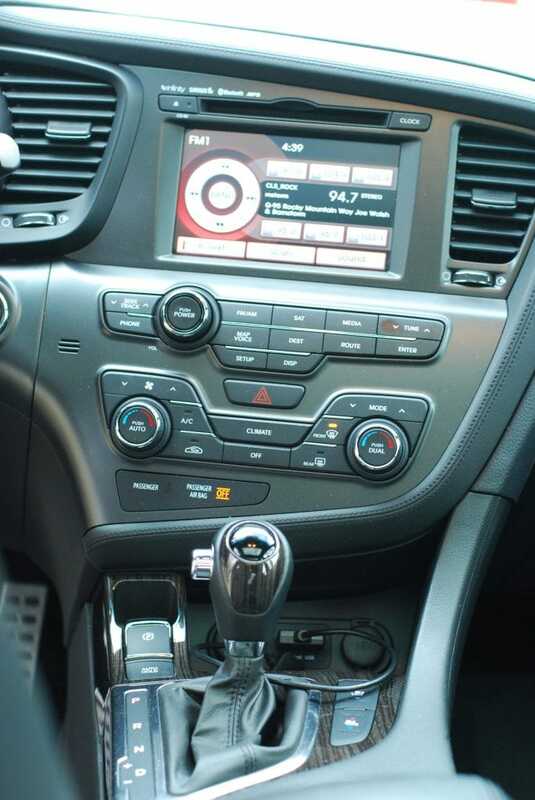 I absolutely fell in love with the interior of the Optima. The front seats were extremely comfortable and the console was positioned to where I could get to everything I needed with ease. The Optima also synced with my iPhone so I could have my own music as well as hands free calling. There was a few new features in the Optima that I have never seen before like the heating and cooling seats. We have heated seats in one of our vehicles now, but the cooling feature would be great in the summertime (if summer ever comes to Indiana) especially with the dark interior. The back seat also has heated seats! The Optima also has a push button parking break. I love this feature. In most cars you have to push down a pedal or pull a leaver to put on the parking break. Having a push button is so convenient. My favorite feature was the panoramic sunroof. I am used to driving a small SUV and I was a little worried about how closed in I would feel in a sudan. To be honest, it felt a little snug until I hit the button to open the sunroof. Within seconds the extra large sunroof let in a lot of light and my claustrophobia disappeared in an instant. Navigation System… I would have gotten lost when I went to IKEA without it! Sound System was fantastic and had a great sound. All of the ports in the car for our USB devices. The steering wheel… I loved how the polished wood felt and the easy access to volume control, cruise control and the Bluetooth system. I decided to take the Optima on a trip to Cincinnati to visit the closest IKEA. My two little ones came with me. Installing their car seats in the backseat was a breeze (I had my husband do it). With the LATCH system it took a matter of moments. They fit without any problems. 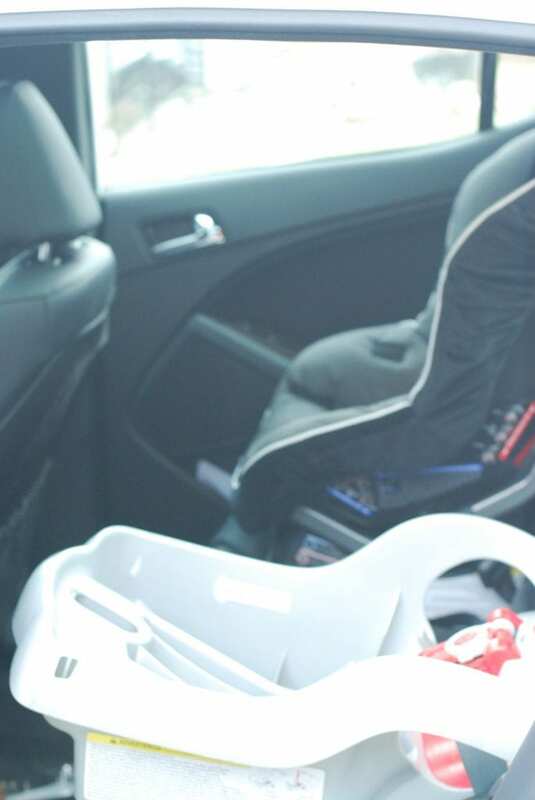 The only thing that I didn’t like was that my infant seat couldn’t click down and latch until after I started the car and the front seat moved up. If you have an infant seat that is large like mine I suggest moving it to the passenger side of the car for this reason. There was plenty of room for both carseats and a person in-between if they didn’t mind it being tight. My mother in law actually had to get back there to feed Caroline on our trip. I like that the two kids weren’t right on top of each other. The trunk space was amazing for a sedan. I could fit a stroller and all of my purchases in the back end without any problems. 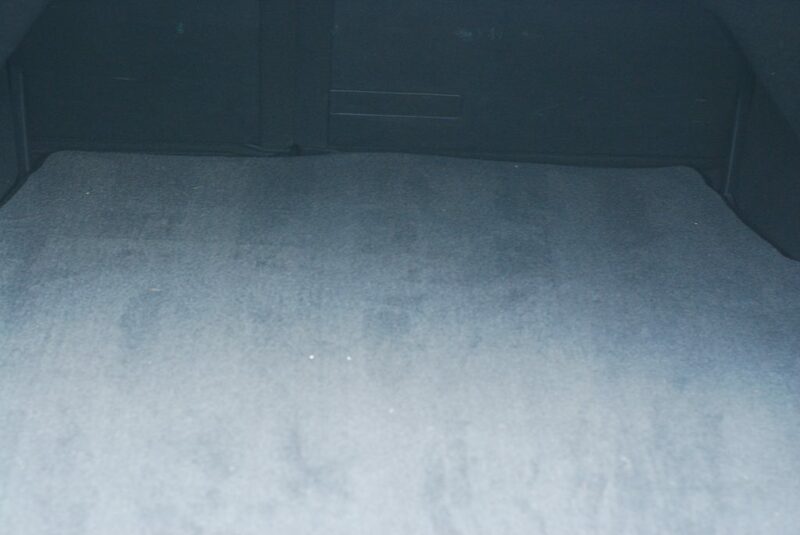 I got a rug and several other items at IKEA and had extra space after loading them into the trunk. Look at all this trunk space. I didn’t have any problem loading in all of my shopping stuff! 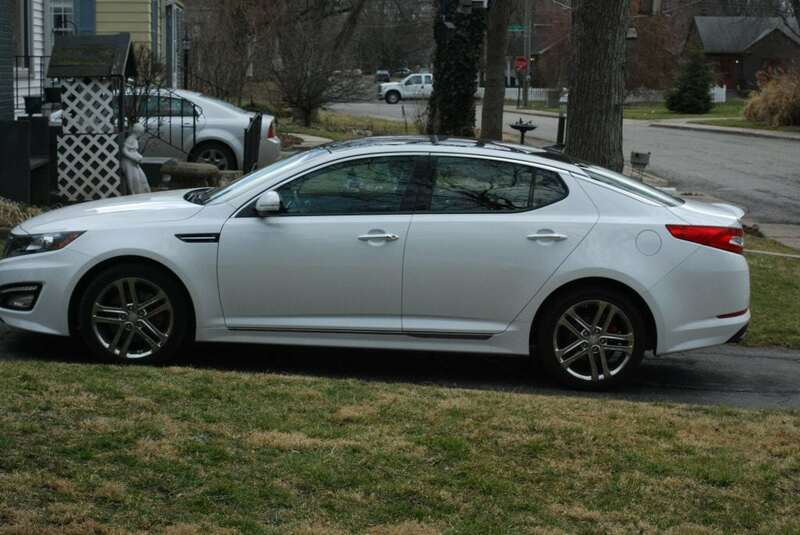 Overall… the 2013 Kia Optima SX is a very sleek, sporty mommy vehicle that is perfect for a small family. The features are amazing and plentiful and make this mommy feel extremely spoiled. I felt that the ride was smooth and it had a lot of power. At times I needed to use the cruise control because I didn’t realize how fast I was actually going. I love that it tells you how many miles you have left before you need to fill up, and the gas mileage is great (about 25 in city and 30 highway). 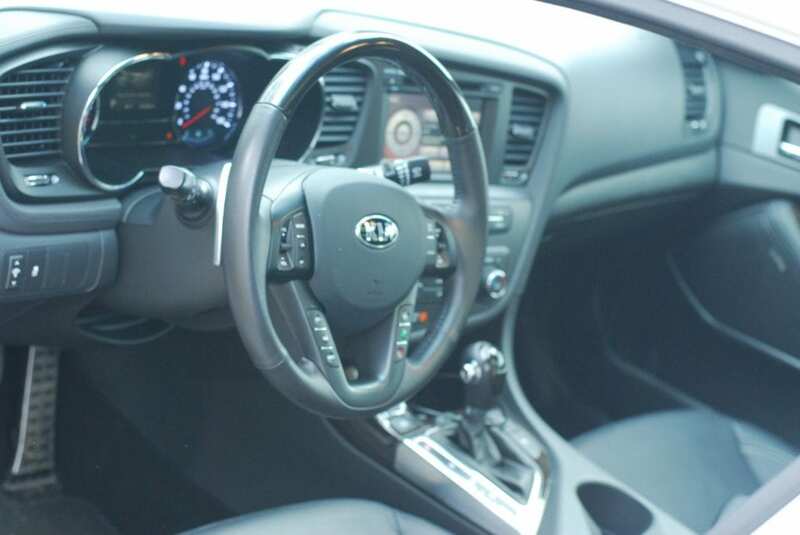 This 2013 Kia Optima SX has a MSRP of $35,275 will all of these options. 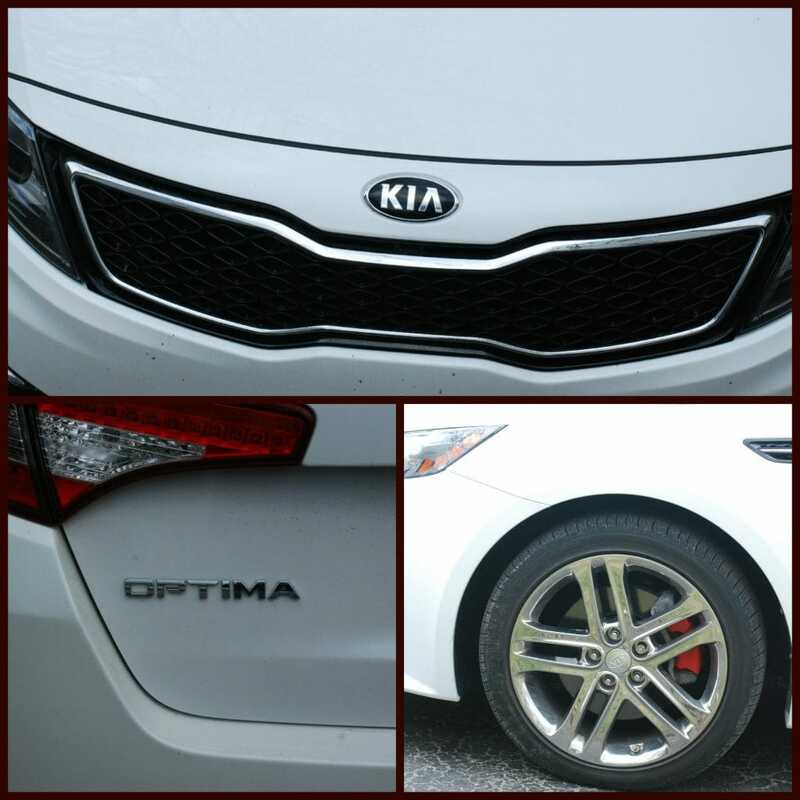 Visit Kia to learn more about the Optima and all it has to offer. You can also find them on Facebook and twitter! A huge thank you to Kia who provided our family with this amazing car to drive for a week. All opinions are 100% mine! I am actually thinking of buying a new car in a few months, and these Kia’s look so nice! I’m not really thinking of a sedan–a smaller hatchback would work better for me–but I really like the interiors on the Kia’s I’ve seen. My very first car I bought was a Kia and they have come a long way. The interior is so nice, you won’t be disappointed. I really like Kia’s. I love all the features this has! It really does look like a race car! But it’s great that it’s family-friendly too. I owned a Kia Sephia way back in the day and I’m loving the look of this new Optima! So sporty! That’s one hot looking car! my in-laws love their Kia. I’ve never driven or rode in a Kia but this looks like it has it all! we tried a Kia recently. And we loved it!! Can you fit two car seats and a booster seat in the back? Yes, I would say that there would be plenty of room for that.